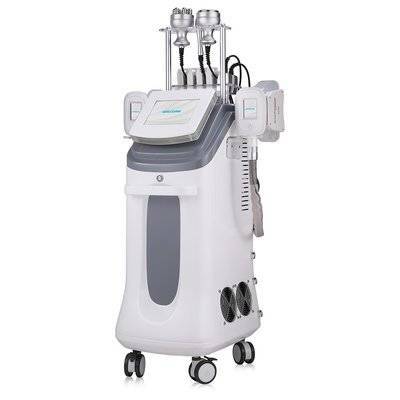 Coollipo Super is a machine which integrated two silicone cryolipolysis,6 lipolaser,cavitation,body rf and face RF. And What is Cold Lipolysis? Lipofreeze application which is also known as cold lipolysis and is a system approved by regional slimming is a method that allows to remove the fat cells by freezing them with its low temperature vacuum feature. It allows to obtain effective results by including cavitation and radiofrequency features. Treatments are non-invasive and target only fat cells, so upon completion of a treatment patients can return to their normal everyday routines as if nothing ever happened. The uniquely designed cooling applicators of the cryolipolysis allow patients to reduce fat in a variety of areas to achieve their personal body goals. The dual hand-pieces of the cryolipolysis allow patients to receive treatment on two areas simultaneously, halving treatment times compared to conventional methods of freezing off stubborn fat. energy to liquefy fat in a targeted area. The fat is removed through a cannula (thin tube). Local anesthesia is required (as opposed to general anesthesia which is required for traditional liposuction). The treatment usually takes 45 minutes to an hour. The treatment should be performed once a week in series of 10 treatments, and once a month as a top-up procedure. Duration of a single treatment is 30-45 minutes, depending on the type of customer’s problem. Single treatment should not be longer than 45 minutes. 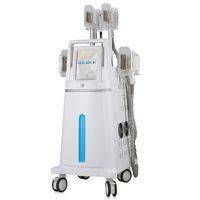 The LipoLaser is a 100% non-invasive, laser-based, spot fat reduction and body contouring system. Offering the relaxation of a 40 -minute treatment with the benefits of inch loss! 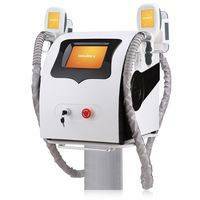 LipoLaser uses laser energy to safely, and painlessly, penetrate the skin and target specific fat cells. It is through this targeted process that the LipoLaser is able to stimulate the cell itself into releasing water, free fatty acids, and glycerol.Having released these three compounds, water, free fatty acids, and glycerol, often referred to as Triglycerides, the fat cells “shrink” significantly, resulting in inch loss. Cavitation – RF acts on all localized fat deposits, even those located in the most difficult and stubborn areas, offering astonishing results for both men and women – regardless of age. More specifically, Cavitation ultrasound waves are beamed onto the skin, where they accurately target fat and cellulite and transmit powerful sound energy pulses to the target area tissue, causing selective damage to the membrane of fat cells (adipose tissue) and eventually leading them to die (apoptosis). After fat is broken down, dead fat cells and fat material is cleared away naturally via lymph circulation. 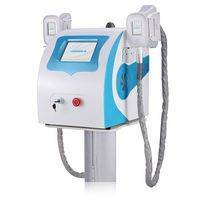 The innovative Cavitation – RF platform delivers concentrated RF energy heat to the deepest layers of tissue (dermis), promoting skin elasticity and firmness, resulting in increased metabolism, cell activity and faster fat burning. In the final stage, Vacuum massage is performed to improve oxygenated blood flow and accelerate lymphatic flow and drainage.